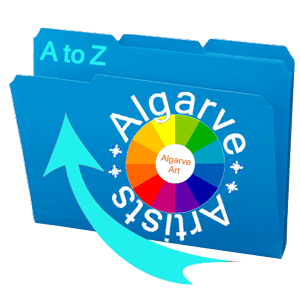 Welcome to the new Algarve Art website – home of the newly formed Algarve Society of Artists. Our aim is simple – to bring together, encourage, and support Algarve-based artists and art of all genres; and to showcase and promote art and art events across the Algarve. Our definition of art is simple – it is something that is produced by human creative skill and imagination, something that is visual and tangible, and hopefully pleasing to the eye! “I have been toying with different ideas about how to move things forward, since organising and running a ‘Pop Up Art’ exhibition for 10 artists in the Algarve, where I am based, earlier this year. I also wanted to be able to draw artists together (no pun intended!) across a wide range of art and creative genres, and for some time I have also liked the idea of producing a quarterly promotional magazine to showcase their work … and of course there is always the need for good marketing and a strong web presence too. I have met many artists out here who do not have their own website, so creating something that enabled them to have their own unique URL to share with clients and customers was also an important consideration for me. This website and the new Algarve Society of Artists is the result of bringing all of these ideas together. An individual artist’s annual membership is priced at only 15.00€ per annum. You can find out more information by clicking the logo here. If you are a Gallery Owner, Art Shop or Supplier or other Corporate body .. we welcome your membership too. We are hoping to create a positive, creative and enabling community across the Algarve .. and we are sure that you will be interested in advertising in our quarterly magazine too. You can have the same membership perks as an individual artist, with extra opportunities for marketing and advertising (free) in our online magazine, for a Corporate Membership fee of only 25.00€ per annum. And if you are a fan of art, an art collector, someone who enjoys art, crafts, gifts and creative things … then please enjoy browsing the site and finding new artists to tempt you. And you might also find our Events and Exhibitions pages useful too. .. and please be gentle with us as this site is only a few days old and we are adding new Categories and Artists all the time. Why not bookmark us and come back again soon? You can also sign up for our newsletter too .. if you missed the pop-up request when you first visited our website .. then you can click the Contact Form at the bottom right of our Home Page (or at the bottom of this page) and request to be added to our Mailing List. You will be the first to know about new events, artists, and the launch of our brand new quarterly online Algarve Art! Magazine.